We are members of the Aquia District in the National Capital Area Council. Our Charter Organization is the White Oak Volunteer Fire Department. located at 21 Cool Springs Road, Fredericksburg, VA 22405. 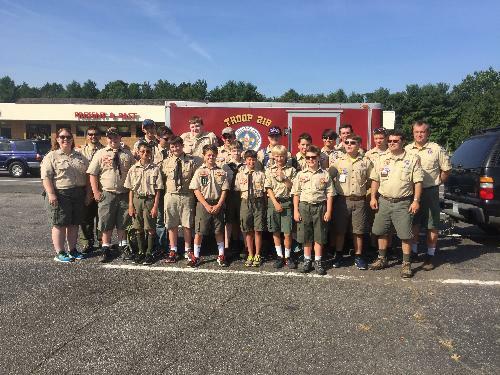 Troop 218 is a boy led Troop whose main goal is to fulfill the Mission Statement and Vision of the Boy Scouts of America. Scouts who participate in our program will develop the skills needed to become self-reliant and confident. 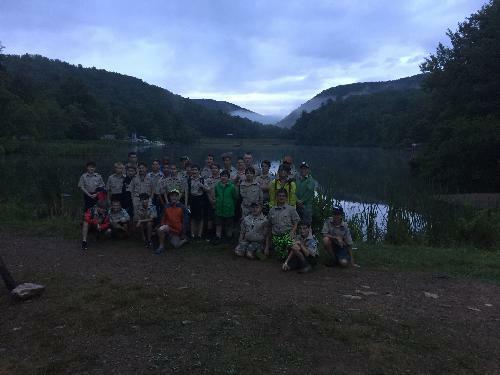 Our Troop will accomplish this by emphasizing the patrol method, outdoor skills, and leadership training; additionally, we will provide guidance and encouragement to Cub Scouts so that they will continue on as Boy Scouts. Our Scouts will participate in a fun program that encourages personal growth and development so that when they leave our Troop, they are prepared to be productive and effective citizens. For more information, please click the "Contact Our Troop" link above to send us an email.